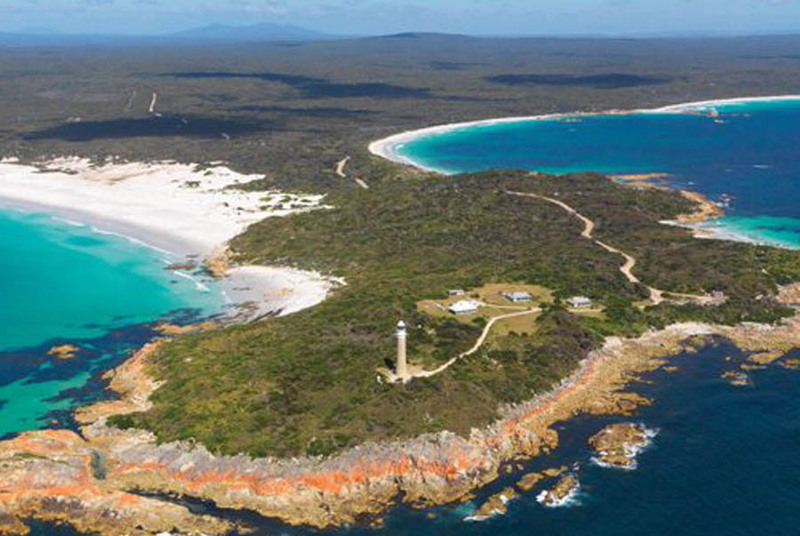 This 3 day walk has been designed for those looking for a Pack Free walk of the Bay of Fires. Avoid carrying your clothes or a heavy pack and walk with as little as your camera, water and lunch each day. 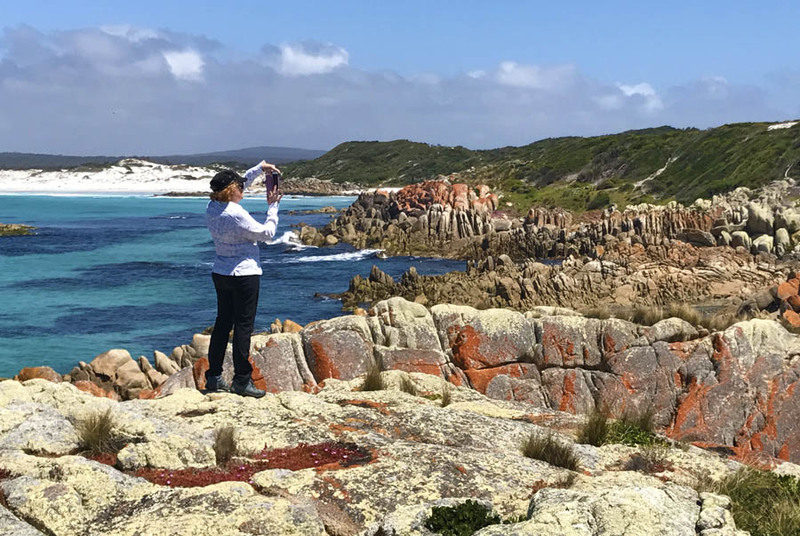 Situated on the east coast of Tasmania, this magical and remote landscape showcases pure white perfect beaches, vivid orange granite boulders and a ribbon of sapphire and emerald seas. 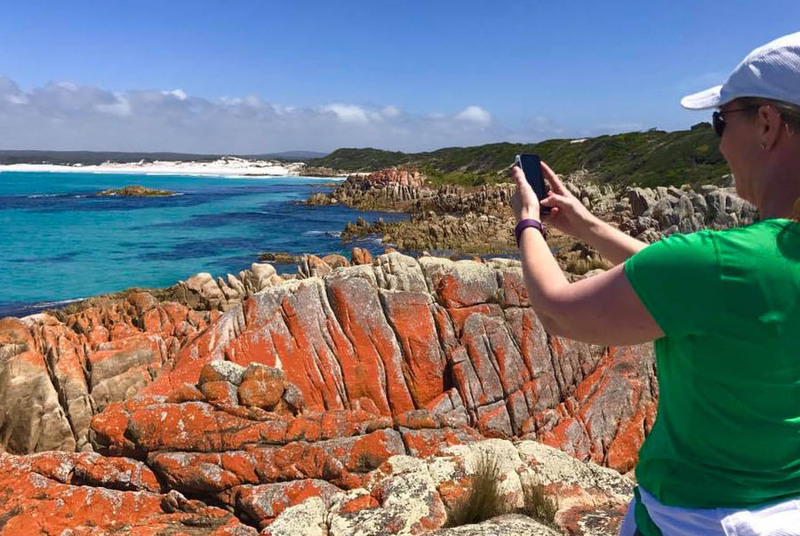 The Bay of Fires is a truly stunning destination and a photographer’s paradise. One of the biggest drawcards of this walk, is that our guests won’t be asked to carry their clothes or overnight bags for the entire walk. This is a big advantage in you’ll avoid carrying an additional 8kg or more on your back every day. With Life’s An Adventure, carry as little as your water, camera and lunch. 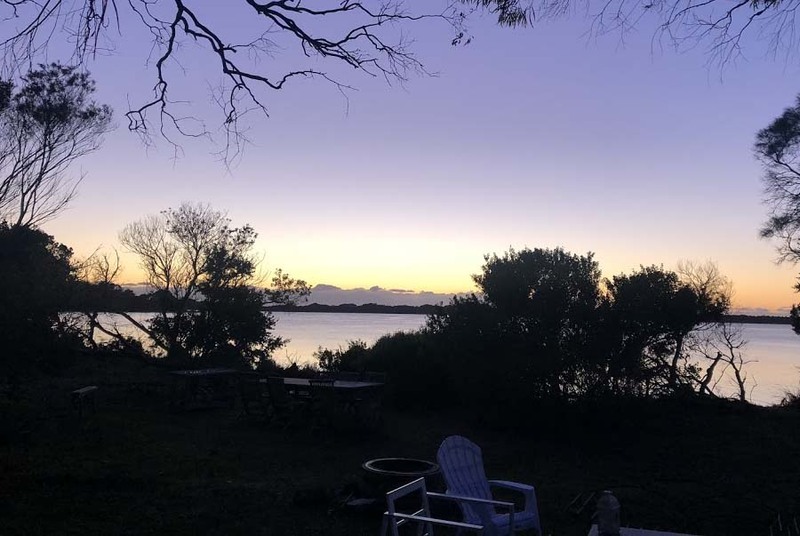 Our walking experience spends 2 nights in our waterfront beachshack. 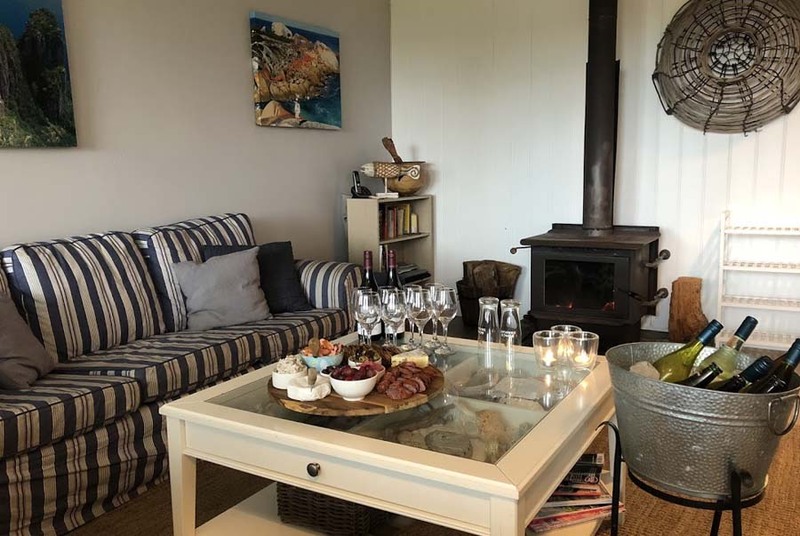 With only a short 15 minute transfer from the end of the trail on day 1 and the ability to walk into the beachshack on day 2, you’ll find this charming accommodation with its beach decor and lovely Ansons Bay views, the perfect place to put your feet up after a day’s walk. On every tour we add an additional Wow Factor to make your journey truly inspirational. 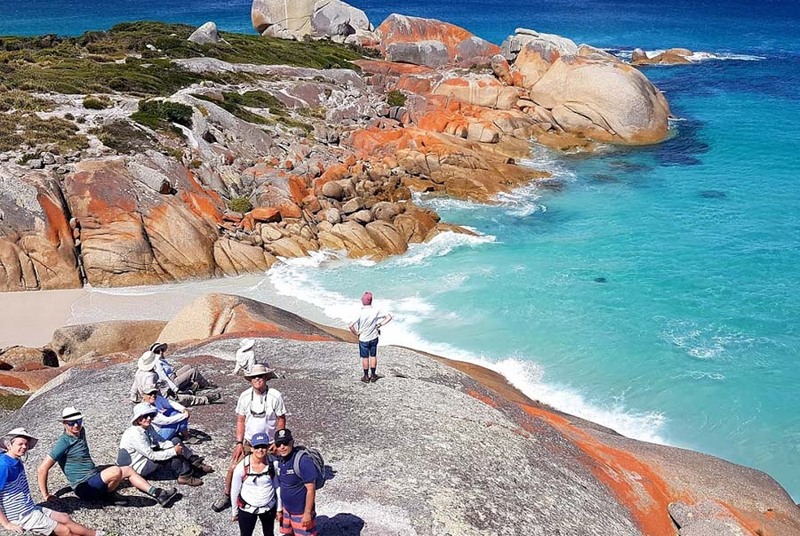 On the morning of day 3 before your walk, enjoy a superb wilderness cruise from Binalong Bay exploring the Bay of Fires from the water. Durring the journey we will visit a delightful Seal Colony, to see the seals frolicking in the water or sunning themselves on the large boulders. 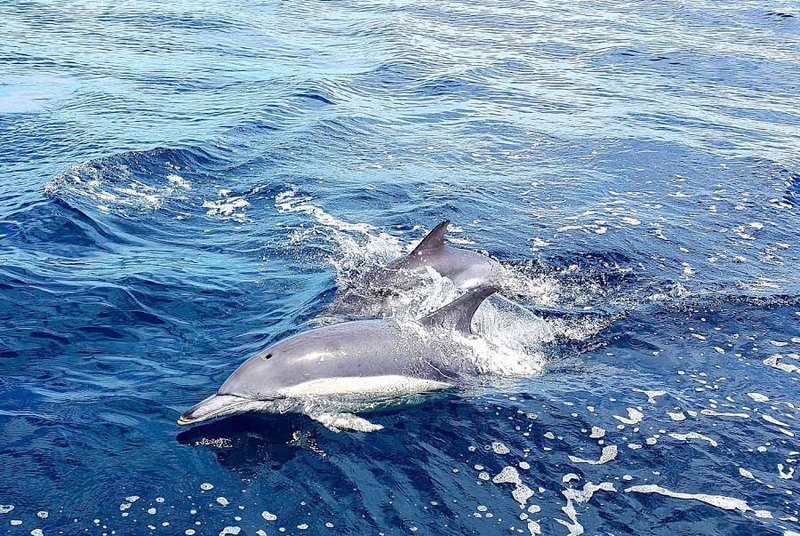 If we are lucky, we may even meet some playful dolphins or whales along the way. 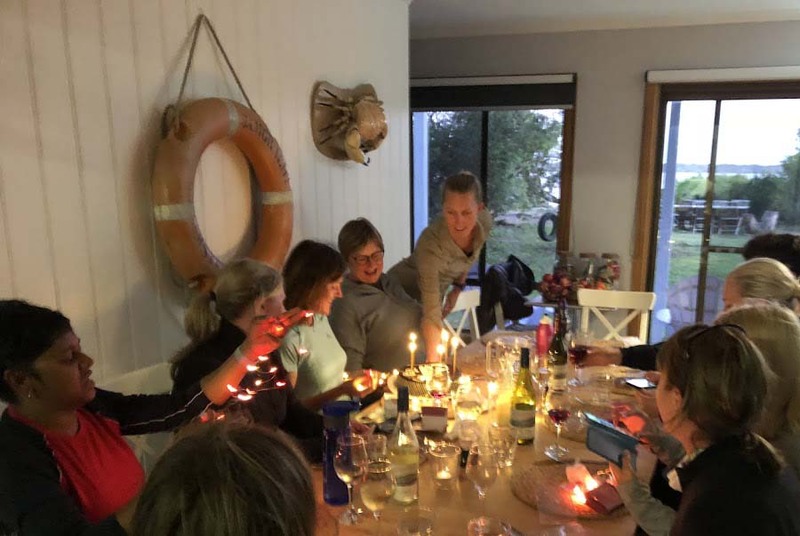 Our group sizes are small and intimate with a maximum of 11 people, we find this delivers a more personalised service, a great social environment and has less impact on the environment. Our guides are loved for their ability to go above and beyond. We call them our CEOs – Chief Experience Officers and it’s their job to ensure your tour exceeds your expectations. For example our chief guides Glenn and Janaya are a winning combination providing the best in customer service. 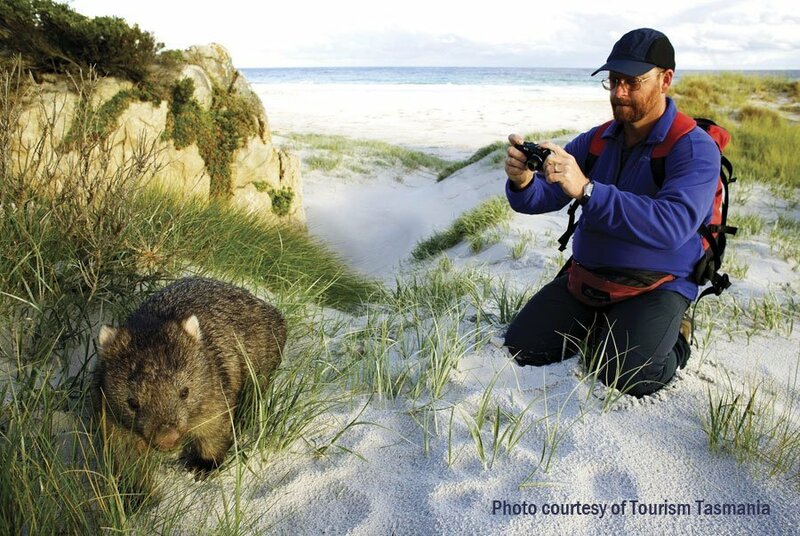 Glenn has a wealth of knowledge on the Bay of Fires, which enables him to make the landscape come to life. Add to this, his wonderful sense of humour and Janaya’s ‘Can Do’ attitude and you know you will be in good hands. Tasmania is famous for its superb local produce, from it’s delicious cheeses to it’s wide selection of wines. An important element of your walking experience with Life’s an Adventure is the high quality local food we provide each day. You’ll always find an abundance of food and options available. 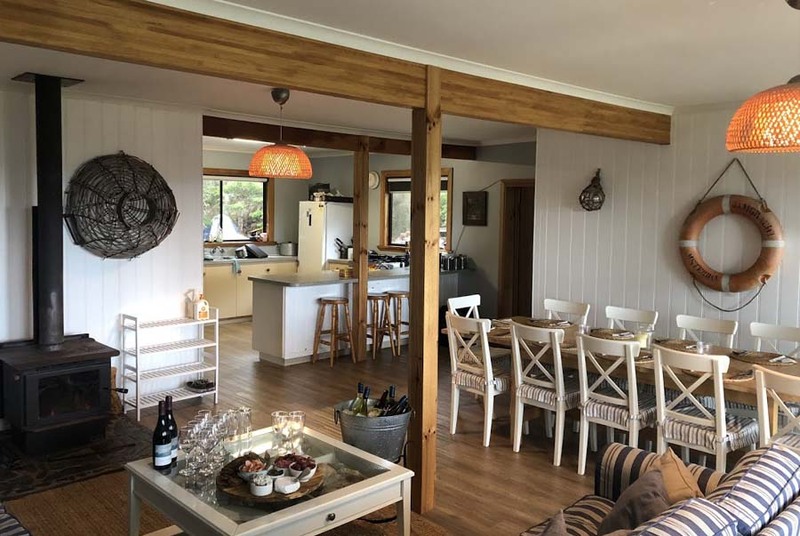 Glenn & Janaya have put an inspired Tasmania menu together including wonderful Scottsdale Pork with Peach and Chardonnay sauce, Pear and Walnut Salad, local Salmon, trevalla and so much more. 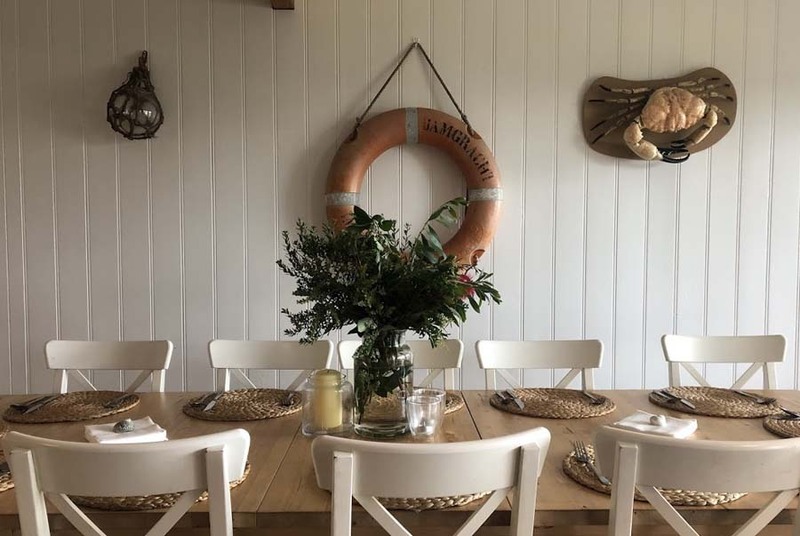 It wouldn’t be a meal without wine, and we have an array of Ninth Island white and reds, as well as boutique Tasmanian beers to enjoy during dinner as well. Our walking tours are all genuinely all-inclusive and once you pay for your tour there are no hidden extras. 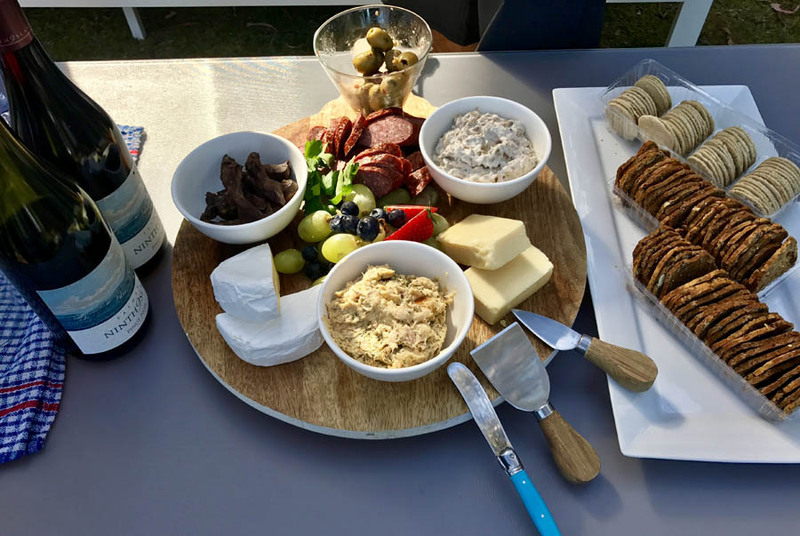 During your evening meals you won’t need to put your hand in your pocket to pay for wine or beer as this is included in the price of the tour. We won’t even ask you to pay additional credit card fees when booking. When you walk with Life’s An Adventure you can be sure that our aim is to deliver a tour beyond your expectations. When comparing other tours in this region be sure you check that you don’t you have to carry your own gear, you don’t have to camp and that your accommodation is not a long distance from where you are walking. We believe our tours deliver exceptional value for money, with all the creature comforts you are after. Pack Free walk – carry as little as your water, lunch and camera each day. WALK GRADE: 12kms. Mainly beach walking on compact hard sand, with only slight inclines when crossing headlands. 5 – 5.5 hours walking with breaks. Easy to Medium Grade. Moderate to Good level of fitness required. 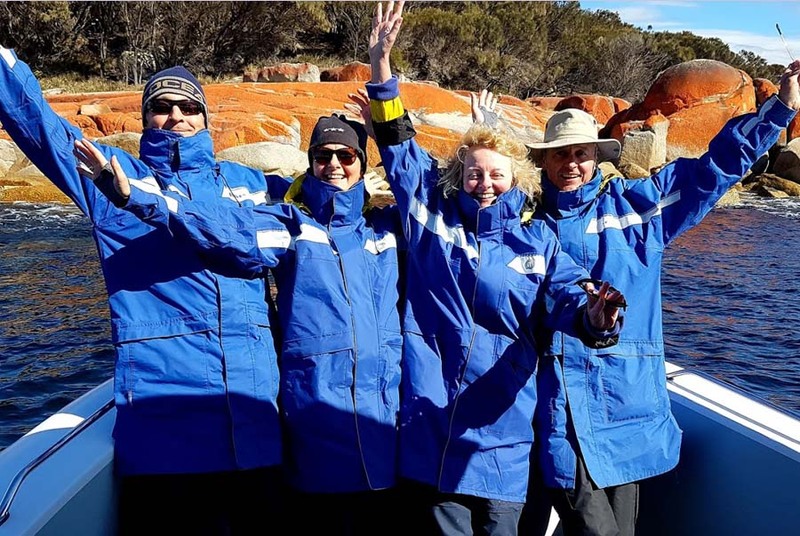 WALK ITINERARY: The day starts in Launceston at the Hotel Grand Chancellor where you will meet our guides at 8.00am for a 8.10am departure for our transfer to the Bay of Fires. We enjoy a scenic drive winding through rich farmlands to the northern part of Mount William National Park. Enroute we stop at the seaside town of Bridport for a short coffee break before continuing on to the start of the walk. We begin our walking adventure from the Mt William National Park enjoying breathtaking, remote and untouched wilderness areas. We head south discovering spectacular landscapes of remote castaway coves. This area is likened to an impressionist’s palette featuring a ribbon of sapphire seas contrasting with pure white sands and burnt orange rocky outcrops. 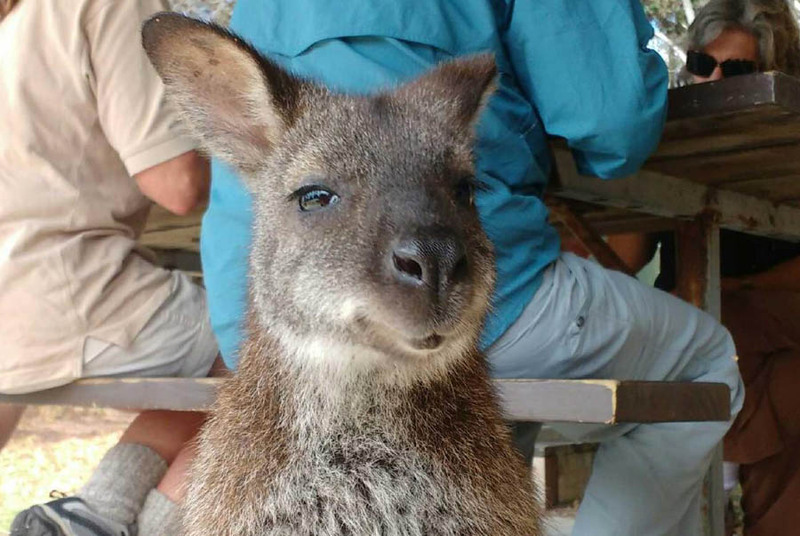 We explore scenic Boulder Point and Cobbler Rocks and look out for the local fauna coming out to graze on the marsupial lawns at Cod Bay. We arrive at Deep Creek for a short 15 minute transfer to our waterfront accommodation. 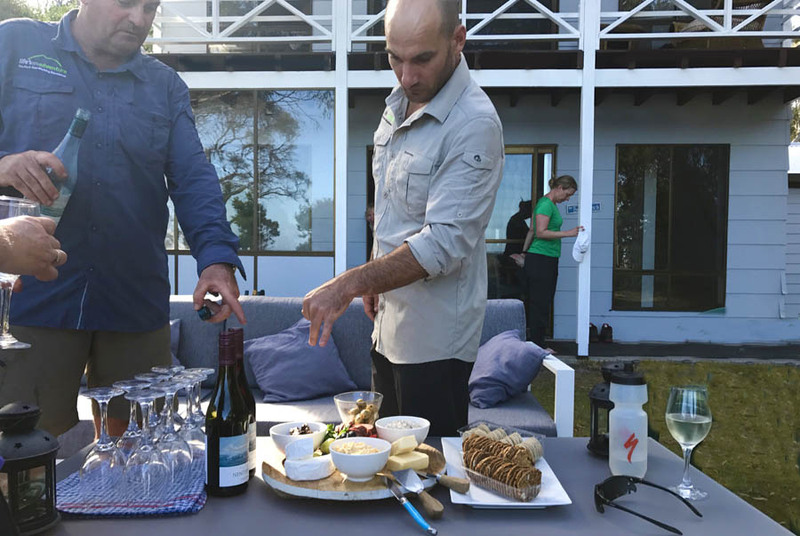 Sit back and relax as our guides provide a delicious dinner served with Tasmanian Ninth Island wine and boutique Tasmanian beers for your enjoyment. WALK GRADE: 14kms. Mainly beach walking on compact hard sand, with only slight inclines when crossing headlands. 6.5 hours walking with breaks. Easy to Medium Grade. Moderate to Good level of fitness required. 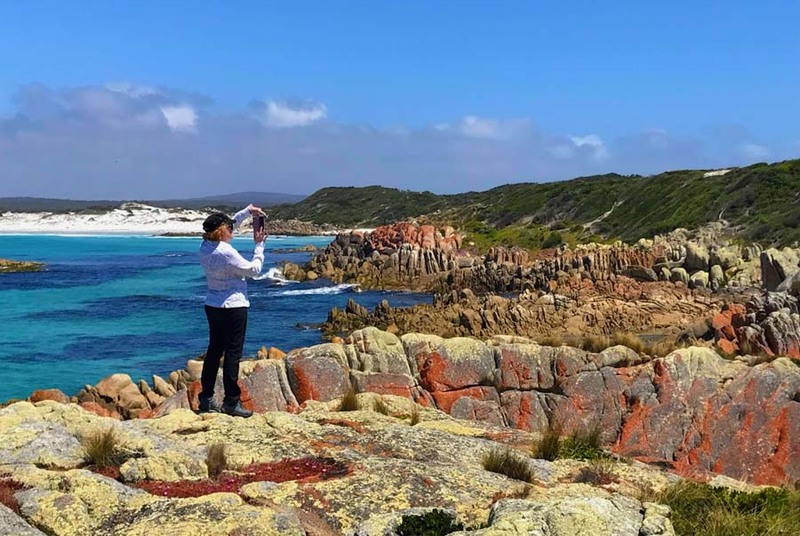 WALK ITINERARY: After a hearty breakfast, we take a short transfer back to the trail and set off south stopping at breathtaking Picnic Point, a beautiful spot to relax as well as a photographers paradise. 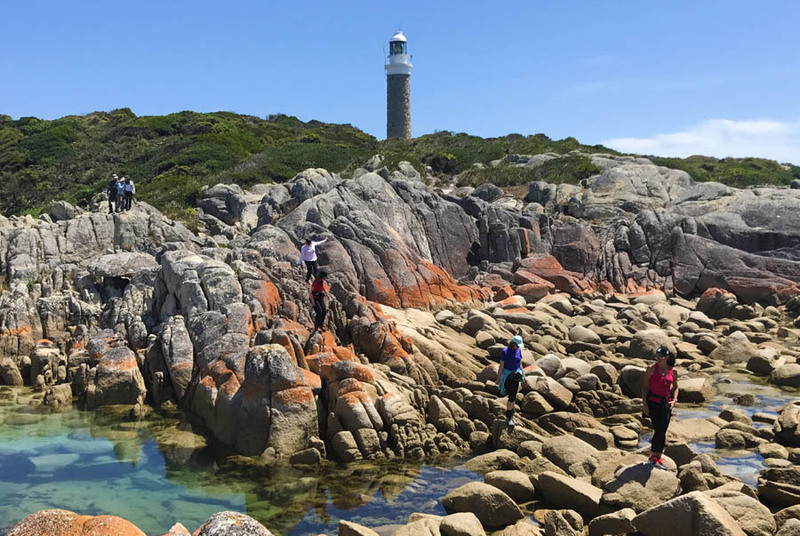 We continue on to Eddystone Point, where an impressive granite lighthouse built in 1889, sits on a point that juts out into the sea. We enjoy time at the cove nicknamed Pirates Cove where we can rock hop out to the edge to get stunning views over the orange rocks down the coast. We head up over the hill through the saltbush arriving at an isolated beach with pure white sand and crystal clear water, a great spot for our lunch stop and a swim. After lunch we continue south taking in more breathtaking scenery. We finish with a 4km walk along a bush track to Ansons Bay, arriving at our waterfront Beachshack. Enjoy a delicious dinner outdoors with views over the bay served with Tasmanian Ninth Island wine and boutique Tasmanian beers. WALK GRADE: 5kms. Mainly beach walking on compact hard sand, with only slight inclines when crossing headlands. 3 hours walking with breaks. Easy to Medium Grade. Moderate to Good level of fitness required. 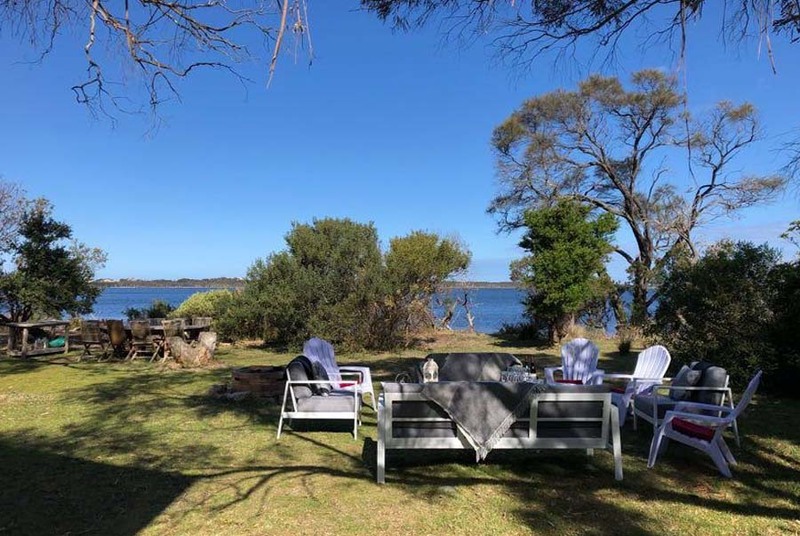 ITINERARY: After breakfast, we head to Binalong Bay where we join a fabulous Eco Cruise. This offshore experience will give you a different view of this amazing area and is home to a diverse range of marine life. Our cruise takes us south to view the local Seal Colony, who like to laze on the large boulders or play in the ocean below. Along the way if we are lucky we may be met by some playful dolphins or a whale. 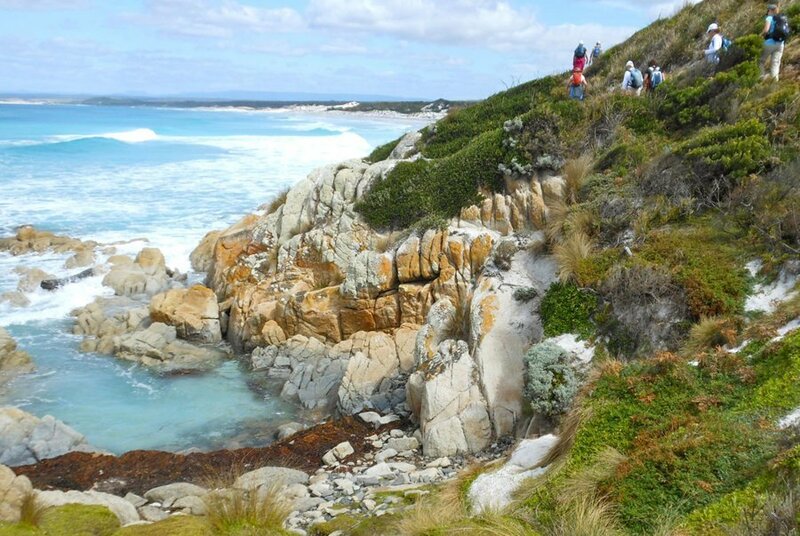 We then head to our last walk near The Gardens and explore the most untouched parts of the Bay of Fires. See pretty Sienna’s mermaid pool, cool lagoons and an abundance of twisted driftwood as we explore Break Yoke Beach, and Garden Lagoon Beach. Afterwards we join our vehicle and enjoy a short stop in the pretty fishing village of St Helens for a short coffee break, before heading back to Launceston, where our tour finishes at the Hotel Grand Chancellor Launceston, the end of a remarkable journey. Finish time will be approximately 5.30pm. If booking flights please do not book before 6.30pm. Note our guides are happy to drop guests off directly at the airport, enroute back into Launceston. 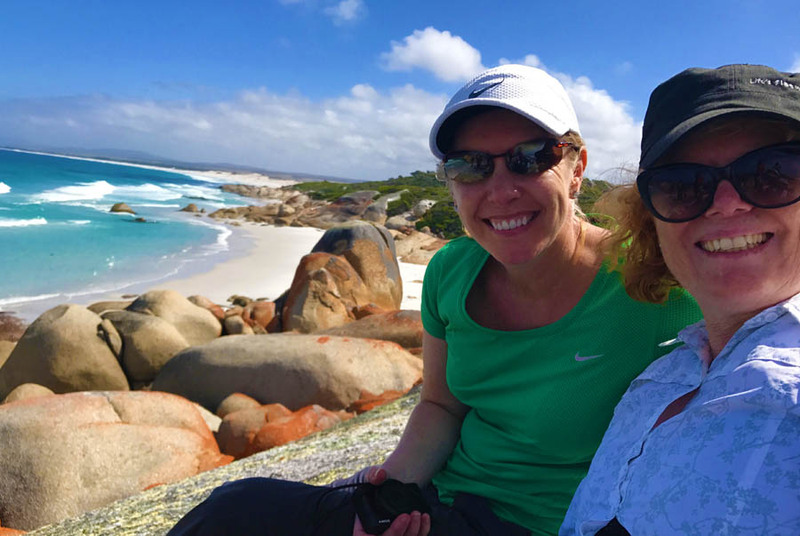 Just wanted to let you know that our Bay of Fires walk exceeded our expectations. We had a most enjoyable time and the group have made lasting friendships. We would especially like to acknowledge your staff for their commitment to making our experience one of a lifetime! Thanks for a great time. Thanks so much. One of the main reasons why we returned to the Company was the quality of the guiding. Barry is a consummate professional, always helpful and knowledgable. The meals were excellent - this has yet again impressed us. After a great days walking it was wonderful to return to cold drinks and excellent nibbles, followed by a superbly cooked dinner. Beachshack was excellent - A wonderful convivial place with everything we needed to enjoy the company of our new fellow trippers. A four star lodge just would not have been the same. Thought Barry - was a superb guide - really took the time to explain what we were seeing, and also made sure the group was held together and not walking too far apart from each other. The Beach shack was fabulous. Food was great - well cooked and presented and a great range of variety. Very fresh. Loved the wines and the nibbles on returning after a day walking. Everything was to and above my expectation. Our guide; Barry was so full of local and interesting knowledge. Although we didn't call him Barry much; was Bob, Bazza etc. He was so lovely. The local produce was awesome and all our meals were prepared beautifully. We were really impressed with your tour; we will be looking for a new location with you next year. Barry and Susan were lovely company and both worked hard making us feel comfortable at the shack. 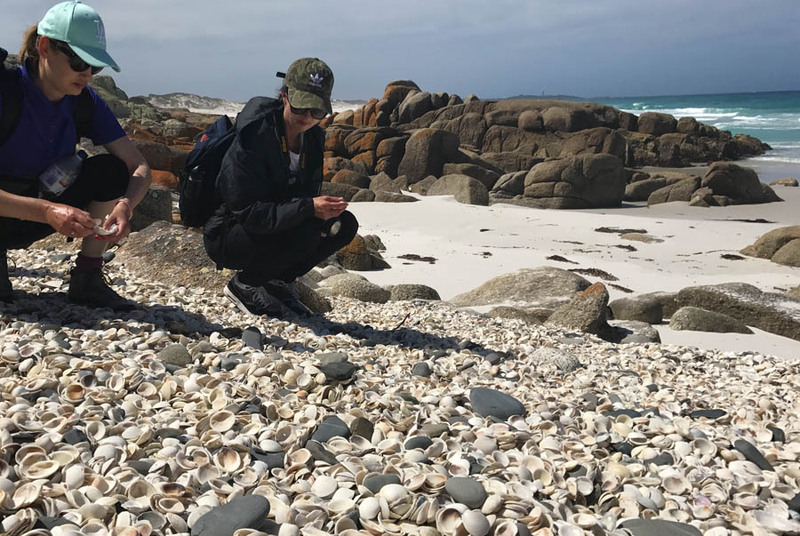 Barry's knowledge of The Bay of Fires was impressive. Fabulous all round. Food was plentiful and delicious. Lovely accommodation. Weather also contributed to an all round wonderful walk. 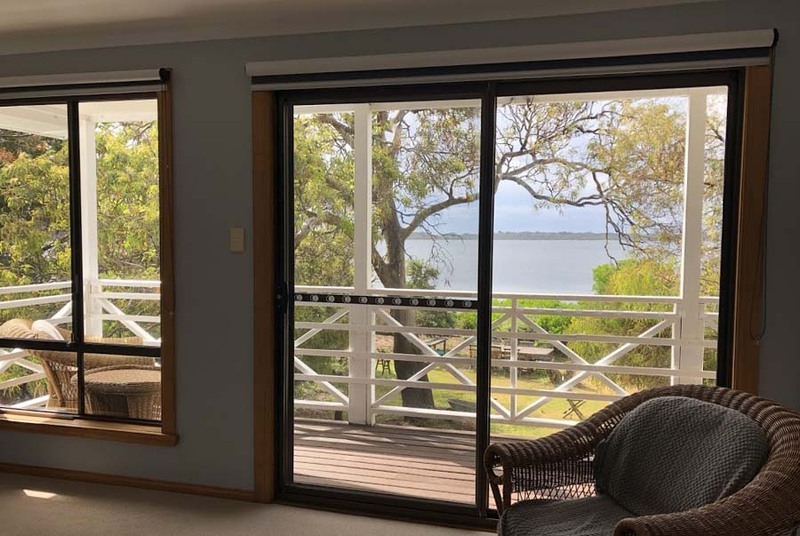 For 2 nights our guests stay at our private accommodation on the waterfront at Ansons Bay. Fondly called the “Beach Shack” (which many of our client’s tell us … that’s not a shack!!! ), the Shack is cosy,warm and inviting. 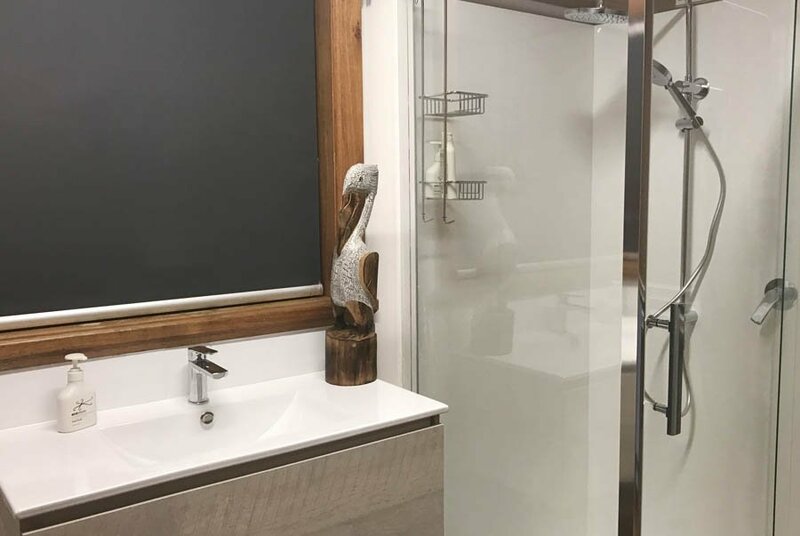 You’ll find an outdoor and indoor dining room, outdoor and indoor fireplace, hot showers and running toilets and comfy beds. 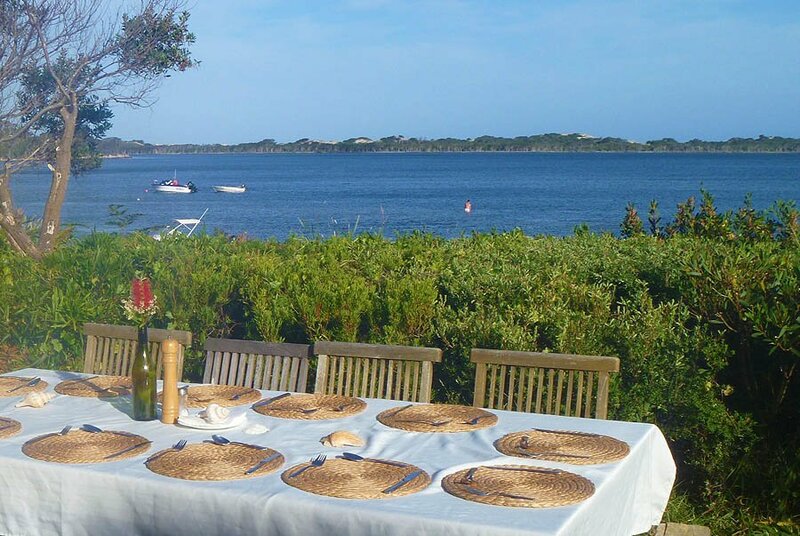 Enjoy a delicious dinner under the stars overlooking beautiful Ansons Bay. We run weekly scheduled tours from September to the end of May every year. To check real time availability on all our Tasmanian walking tours please see information below. Note we run 1 departure every week from mid September to the end of April. Earlybirds Save $200 per person when you book and pay in full on any departure from September 2019 to May 2020. Life’s An Adventure Past Passenger save $300 per person. A date of your choice is available for groups of 10-11 people. Subject to availability. Earlybirds Book and pay in full by 31 May 2019. Save up to $300 per person. Earlybirds available for bookings made in full by 31 May 2019. Private groups of 10 or 11 people can save $250 per person off Normal Price when they book a departure. Choose a date of your choice - subject to availability. Book and pay in full at time of booking to receive these special offers. We only have one single room available at our accommodation. 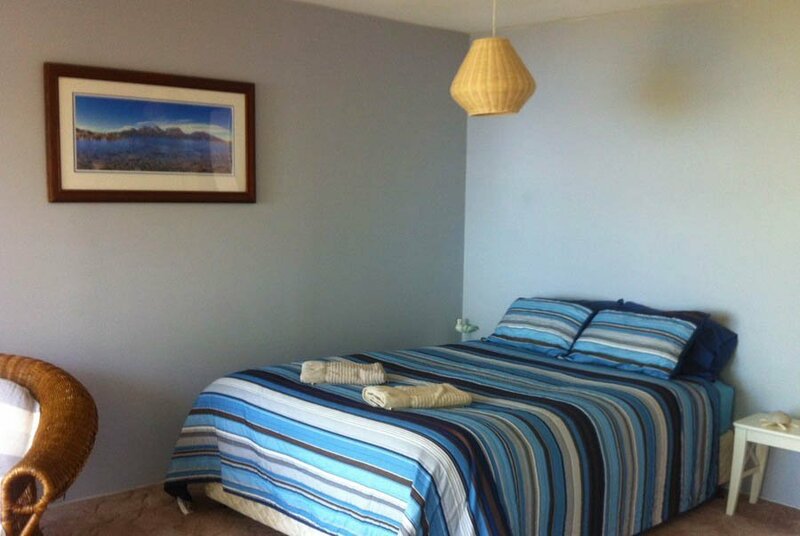 As this is a small room, guests staying in this room will NOT need to pay any extra to have their own room. Please enquire when booking about availability. 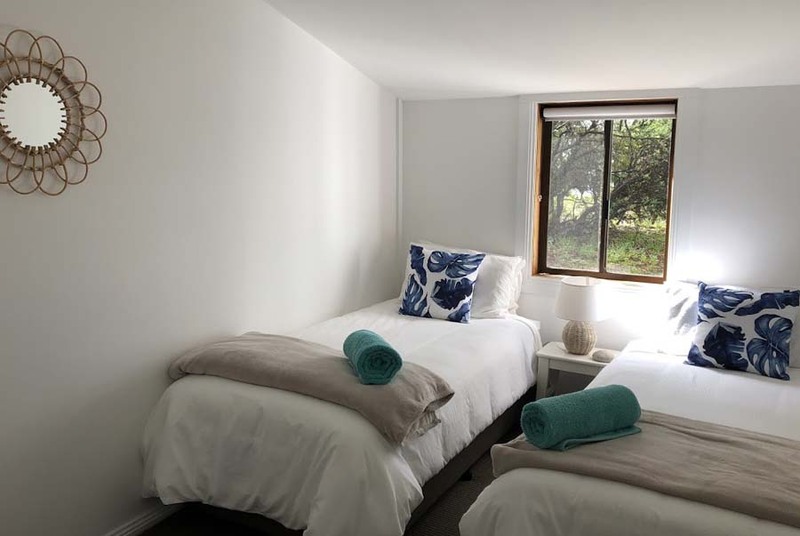 Prices are based on twin share of rooms. If you are travelling solo you may be required to share with someone of the same gender. Because of limited rooms it is not possible to offer single supplements on this tour. This walk is suitable for those who are looking for a walking / hiking holiday experience. 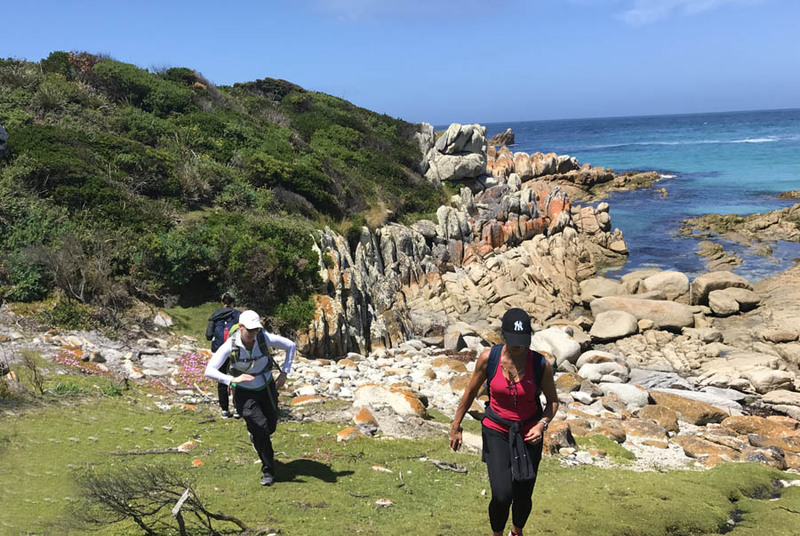 The walk is rated as a medium grade requiring a moderate to good level of fitness to complete this walk with much of the walk on firm sand and headlands of boulders to negotiate. Because this is a Pack Free walk it makes the walk that much more enjoyable. We’ll take the pace at a level that suits everyone, with plenty of rest stops and opportunities to take photos during each day. Please note if you have any medical conditions which may affect your walking we suggest you seek medical advice before booking this tour. No. Whilst other operators expect you to carry your a pack of approximately 8-15kg with your own clothing and gear each day. ALL our guests will have their overnight bags transported to our accommodation at no extra charge. All our guests will just need to carry a small lightweight day pack with water, camera and lunch. All your clothing and overnight bags will be transported for you to our accommodation. We often get people who injure themselves before their tour or something unexpected happens and they are unable to make it to Tasmania. Travel insurance will cover all your tour, flights and pre-accommodation costs and is therefore extremely valuable, if the unforeseen happens. We strongly advise taking our Travel Insurance to cover items such as cancellation of tour due to minimum numbers not met, or adverse weather conditions, injury, evacuation, delayed flights, illness, etc. We have organised through QBE Insurance for you to purchase travel insurance directly with them – please click on the link in your pre-departure information to get a quote or to book. Yes you can book with us a night at the Grand Chancellor in Launceston, in a deluxe king or twin room. The Grand Chancellor Launceston is located in the heart of the CBD close to restaurants and shops. Ask our reservations staff when making your walk booking.